We provide Budget Chevrolet Tavera / ENJOY Cab rental from Shirdi to Pune, Shani Shingnapur,Mumbai, Nashik, Trymbakeshwar and custom packages Tour. Pune/Nashik/Shirdi/Manmad Railway Station and Airport Pickup and Drop Services by Chevrolet Tavera / ENJOY. We have all type of Chevrolet Tavera / ENJOY Cabs for tourism. 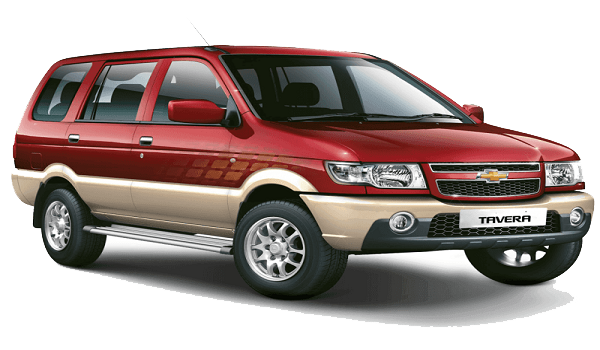 Book Chevrolet Tavera / ENJOY from Shirdi to Nashik,Aurangabad compare cab fares and check for online discounts and deals on Shirdi car rentals. Get car availability information, route information, distance from Shirdi to Pune,Manmad,Aurangabad.